However Romania has not allowed their records to be imaged. 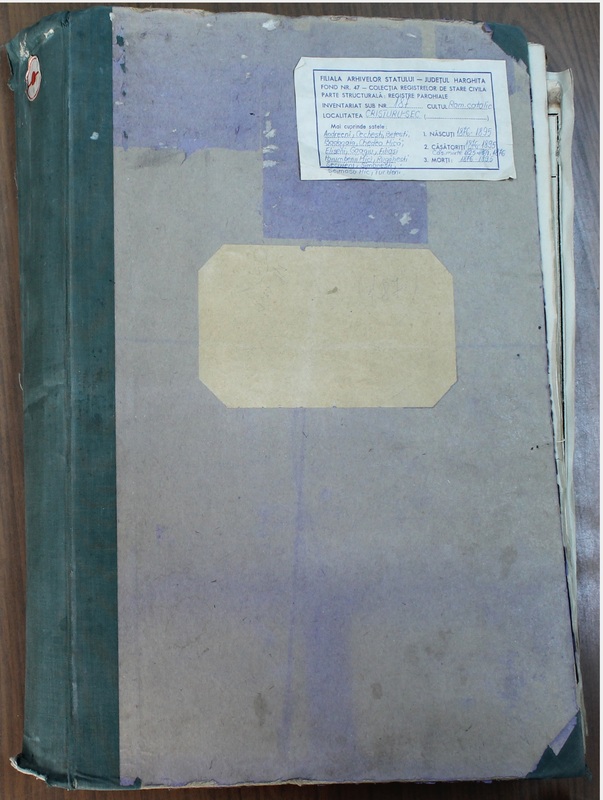 Very recently the Romanian Archives has allowed approved photographers to photograph their records. Through the contacts from The Hungary Exchange I was able to get digital copies of parish records from Székelykeresztúr, the home of my grandparents. There are seven books with over 900 pages of birth, marriage and death records from 1767 through 1895. The records are mostly written in Latin, with some in Hungarian. Some of the handwriting, especially the older books is very difficult to decipher. But it is quite exciting to find records of family names from over a century ago from that lovely little city on the other side of the Atlantic. 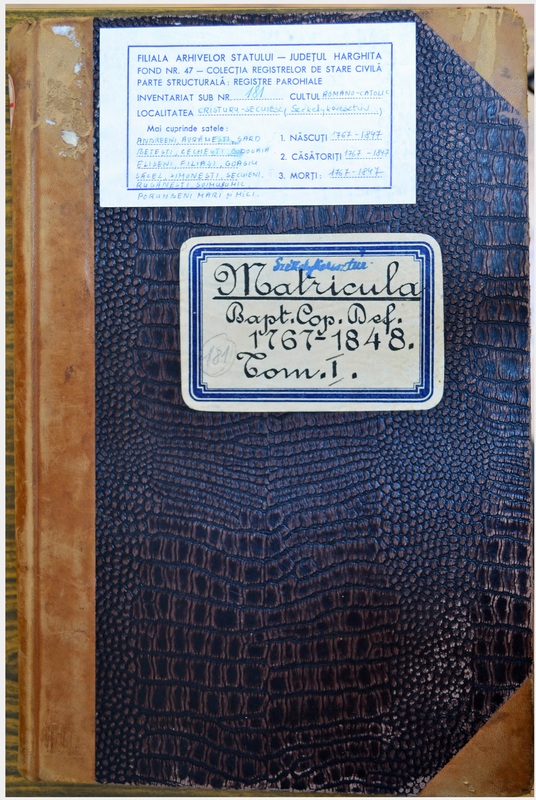 This entry was posted in Nagy, Orbán, Papers, Székelykeresztúr and tagged Hungarian Genealogy, Romania, Székely, top10 by edesorban. Bookmark the permalink. Comment avez-vous fait pour avoir des documents en Roumanie. La famille de ma mère vient de l’ancienne Erdély et je ne peux pas avoir accès aux livres d’état-civil faits par les églises . Eva, il faut écrire à Nick Gombash à la Hongrie Exchange. (nickmgombash@yahoo.com ). Dites-lui le nom du village et de l’église que votre famille a participé. Son photographe vous donner un devis pour photographier les registres paroissiaux. Dites-moi si vous avez besoin d’aide. Je serais intéressé à entendre ce que vous découvrez. Bonne chance! Eva, one must write to Nick Gombash at Hungary Exchange. Tell him the name of the village and the church that your family attended. his photographer will give you a quote to photograph the church records. Tell me if you need further assistance. I would be interested in hearing what you find out. Good luck!